I make this salad a lot when pomegranates are in season! I never actually wrote down a recipe for it … I just wing it, which is the way I prefer to cook. 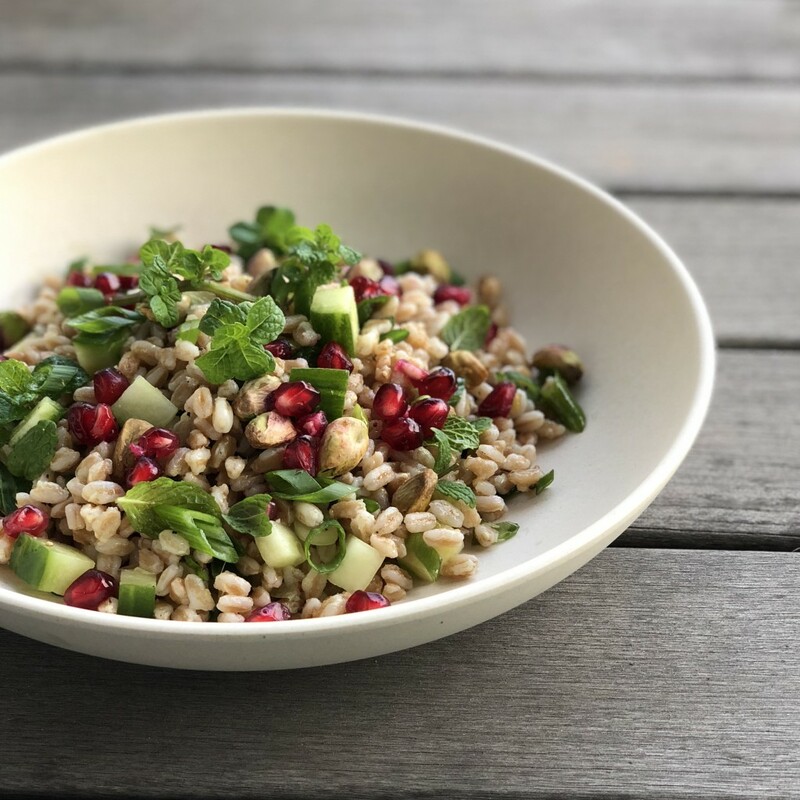 But I wanted to share this farro salad, so here’s the official recipe! It’s so refreshing and satisfying and loaded with colors, textures, and aromatic delight. 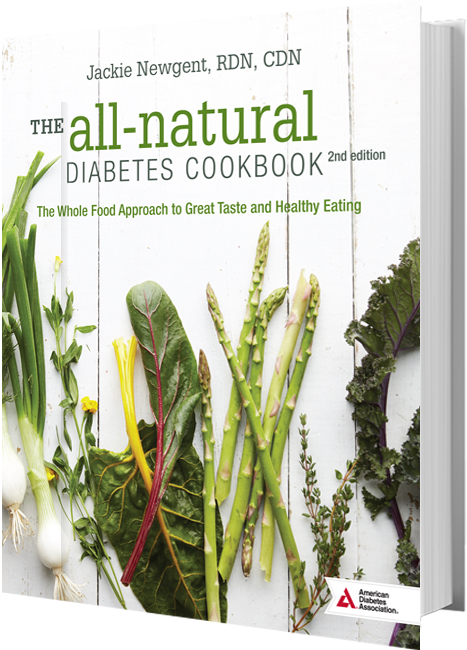 A couple of its flavor “secrets” are freshly grated gingerroot and lemon zest. 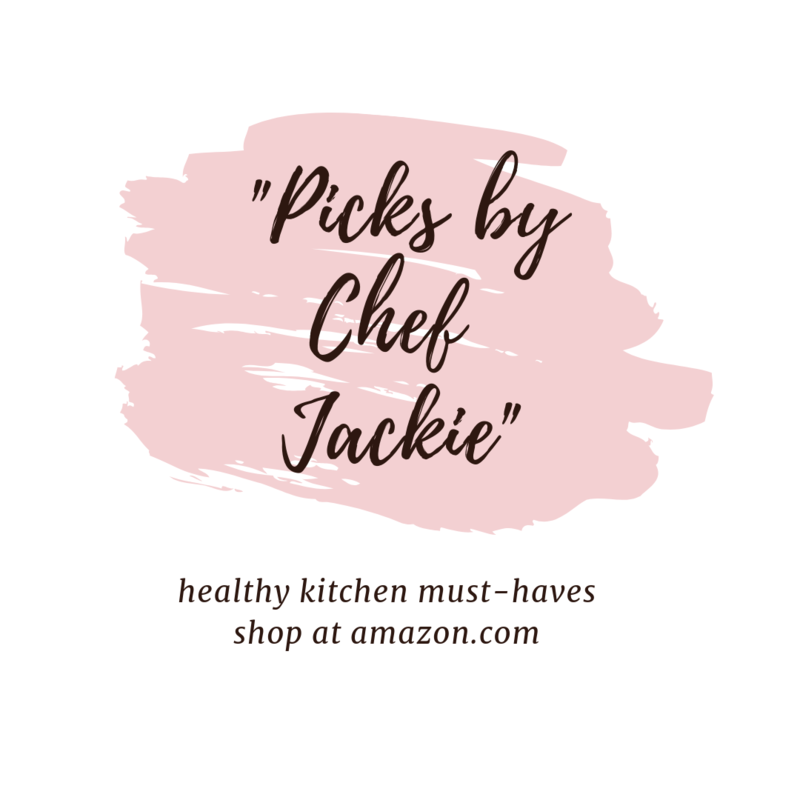 Since I get to use my Microplane Zester/Grater to do that, it’s a perfect time to share this since “Favorite Kitchen Tool” is the theme of this month’s Recipe Redux. You’ll actually feel so good after eating it knowing you punched up your plant quotient for the day (it’s vegan!). Enjoy this dish any day of the week, especially Meatless Monday, of course! In a large saucepan over high heat, add the farro to 6 cups of cold (salted) water and bring to a boil. Reduce heat to low, cover, and simmer according to package directions or until tender. (Note: Time will vary.) Drain well of excess liquid through a fine mesh strainer. In a medium bowl, whisk together the lemon juice and zest, olive oil, and ginger. Add the cooked farro and white part of the scallions; stir to combine. Set aside to cool for about 30 minutes. Stir, then chill in the refrigerator until cool. To the chilled farro, stir in the cucumber, mint, green part of the scallions, salt, and pepper. Taste and adjust seasoning. 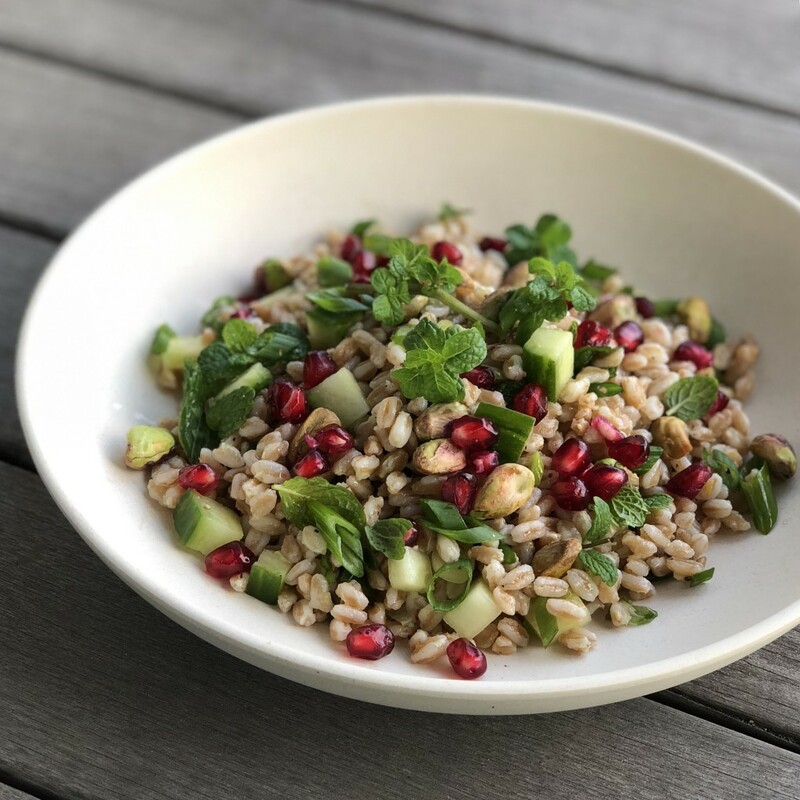 *Hint: Save time by picking up an 8.8-ounce package of 365 Everyday Value Organic Italian Farro from Whole Foods Market. It’s ready in just 10 minutes! I love the colors in this! 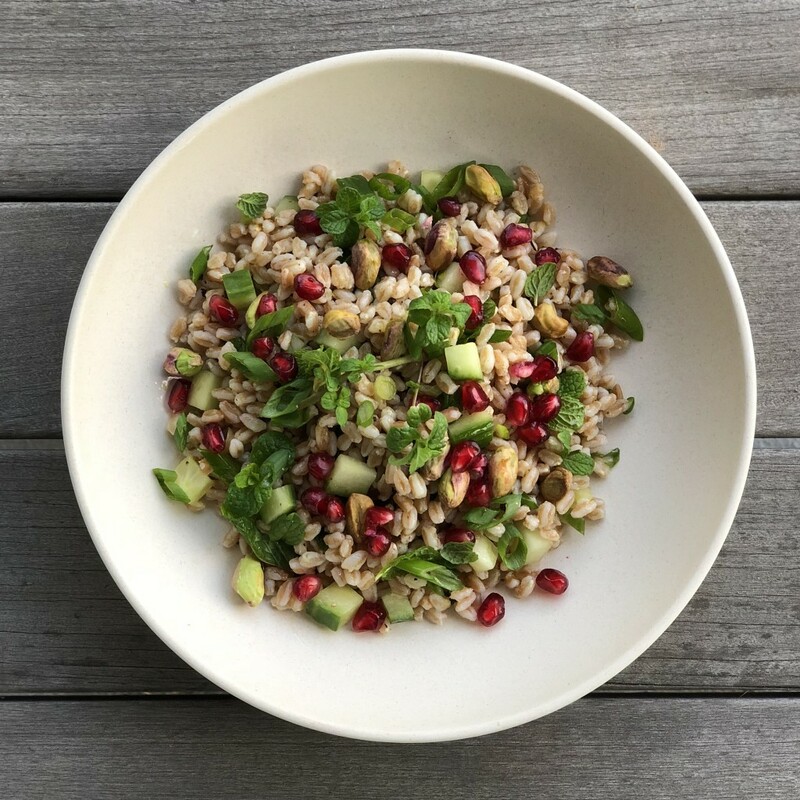 I’ve never used farro before but I’ve seen it in so many recipes lately that I’ll have to give it a go!